Successful companies know they need strong project managers to turn their ideas into reality. Acquire the skills and experience necessary to succeed in the project management field by learning to lead and deliver projects on time, on budget, and according to project specifications with the 100%-online Bachelor of Science in Project Management degree. With the modernization and digitization of the business world, the need for project managers who can lead and manage us through this change is growing rapidly. According to the Project Management Institute (PMI), there will be a demand to fill 22 million new project management-oriented jobs over the next decade. You’ll also gain real-world experience through dynamic experiential learning opportunities within each course and beyond the classroom, where you can work on real-world, virtual projects for leading companies. 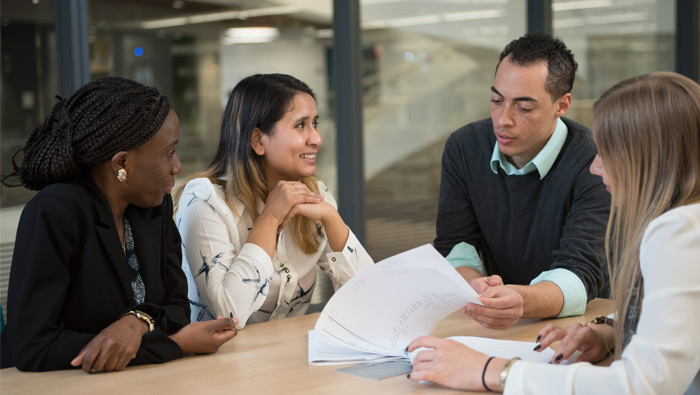 The program's flexible electives are aligned to industry-specific areas, enabling you to broaden and perfect your knowledge in multiple disciplines and capacities within the project management profession. The 100% online format provides all the flexibility you need, where you can study when and where it’s convenient for you. You can participate in real-world, hands-on learning projects to ensure you get the experience that puts you in demand with employers. You’ll learn from faculty experts who have extensive real-world experience and who will ensure you get the practical skills that will help you advance your career. Total Requirements for Degree: 120 s.h. According to Glassdoor, the average salary for an entry-level project manager is $59,000, and the average salary across all project managers is $90,000. According to the Project Management Institute’s (PMI) Job Growth and Talent Gap report, there has been a dramatic increase in the number of jobs requiring project-oriented skills. In the United States, the number of project managers is estimated to increase by 31% over the next decade – from 6.7 million in 2017 to 8.8 million in 2027. Increasingly, the role of project manager is becoming more and more important as companies orient more of their work in a "projected" fashion. Project managers get companies and organizations to results. In many organizations, the project manager is seen as a key role that helps lead a company and its projects to success. This project management program is well suited for individuals who wish to pursue a career as a project manager in any industry.